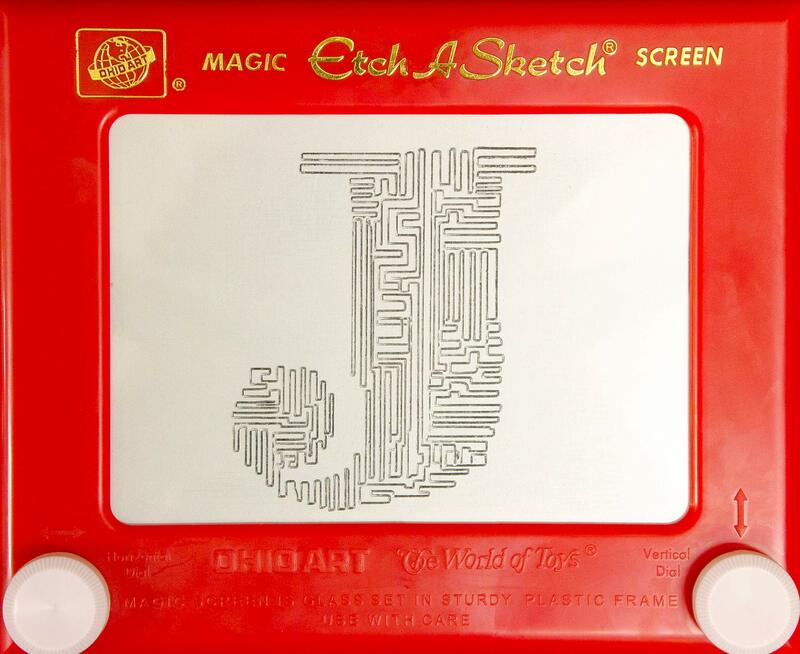 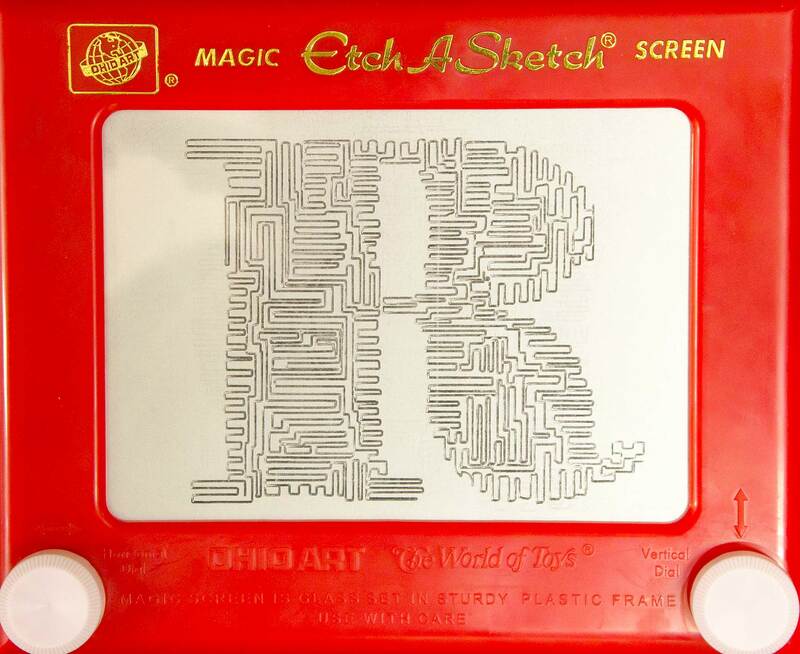 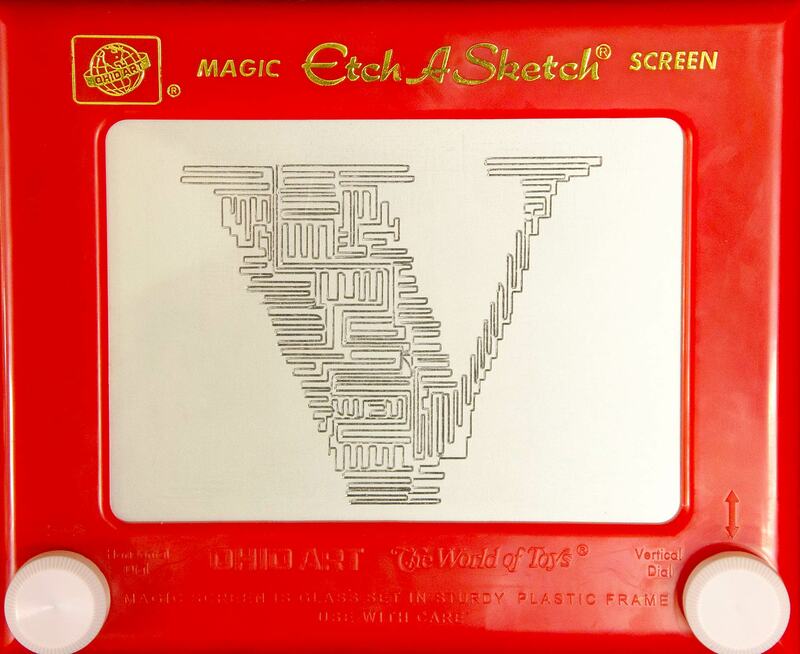 Each letter was made with an Etch A Sketch and took about 15 to 20 minutes to complete individual letters, totaling about 7 hours of “sketching”. 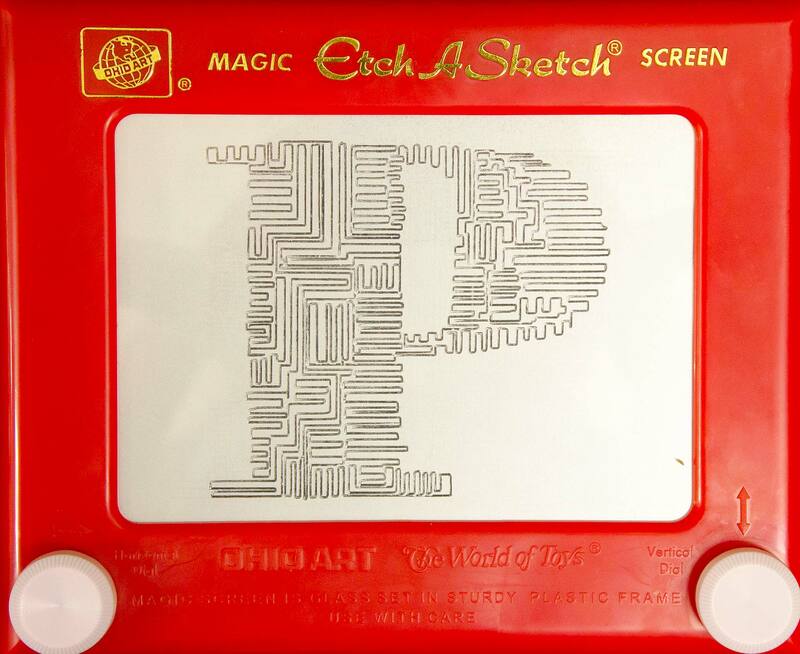 I was curious as to how one could represent the act of preserving memories through design. 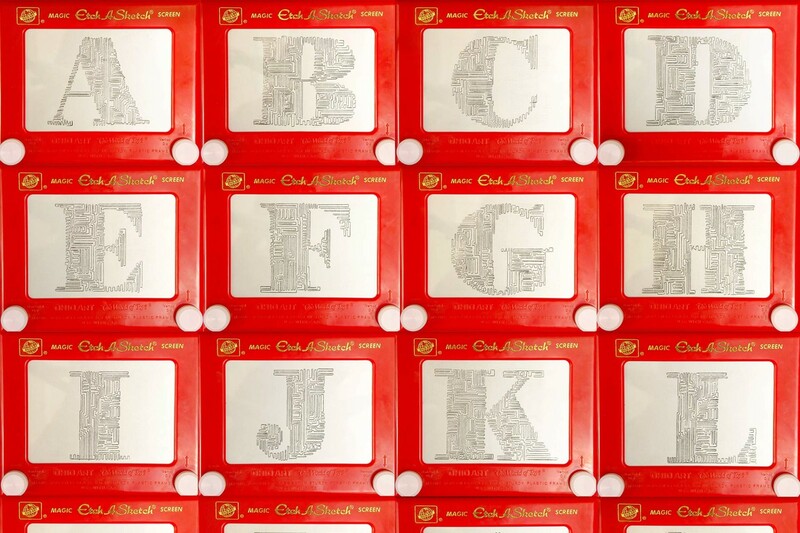 I find that I spend a great deal of time trying to preserve memories through photography, collecting, and writing. Despite the fact that we collect tangible items to capture memories, our brains are perfectly capable of capturing every important event in our lives through a web of neurons. As we age, we may forget some minor details, or may need a trigger to help us remember, but these memories will always reside within us and mold us into who we are. 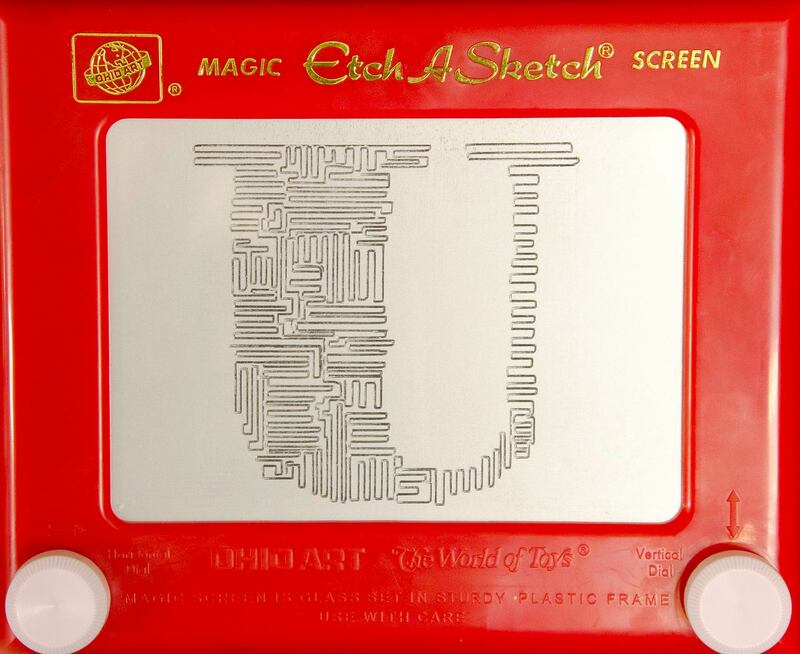 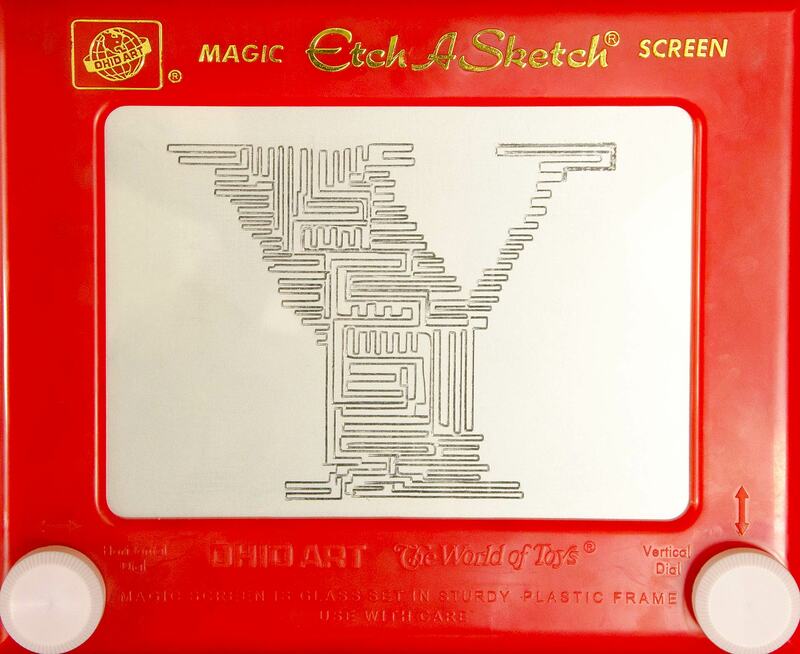 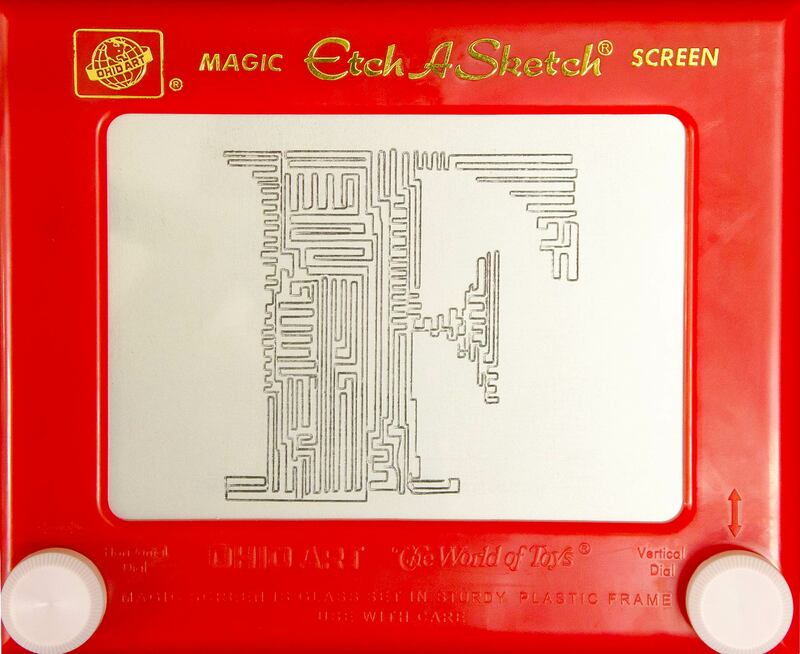 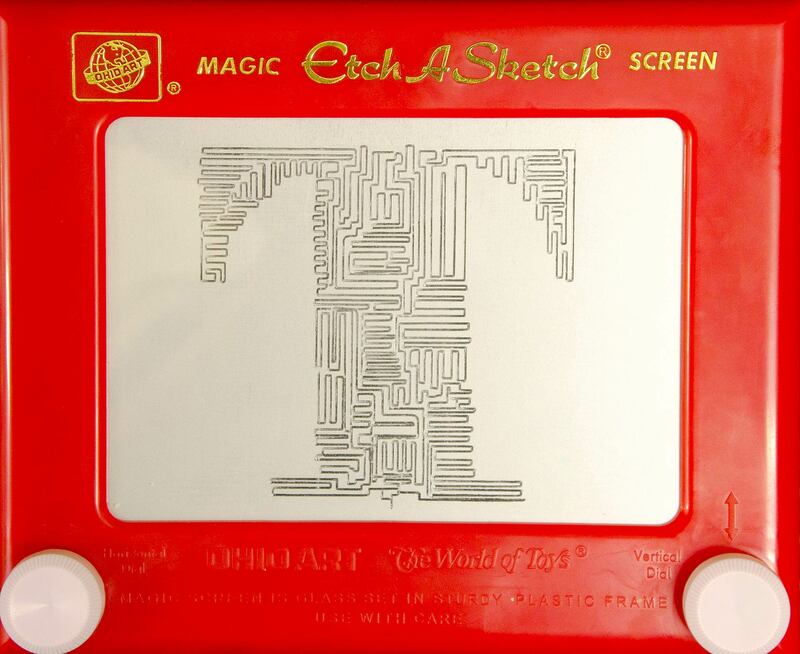 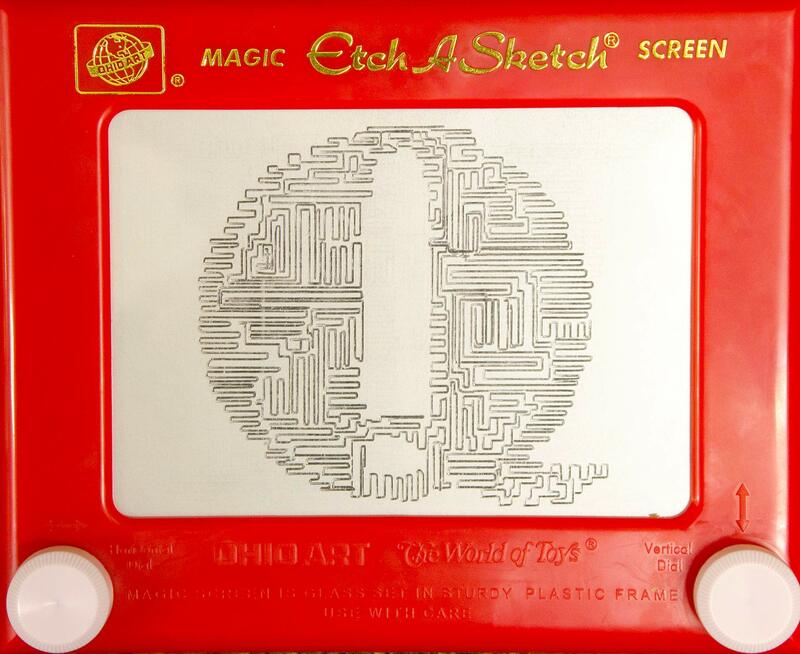 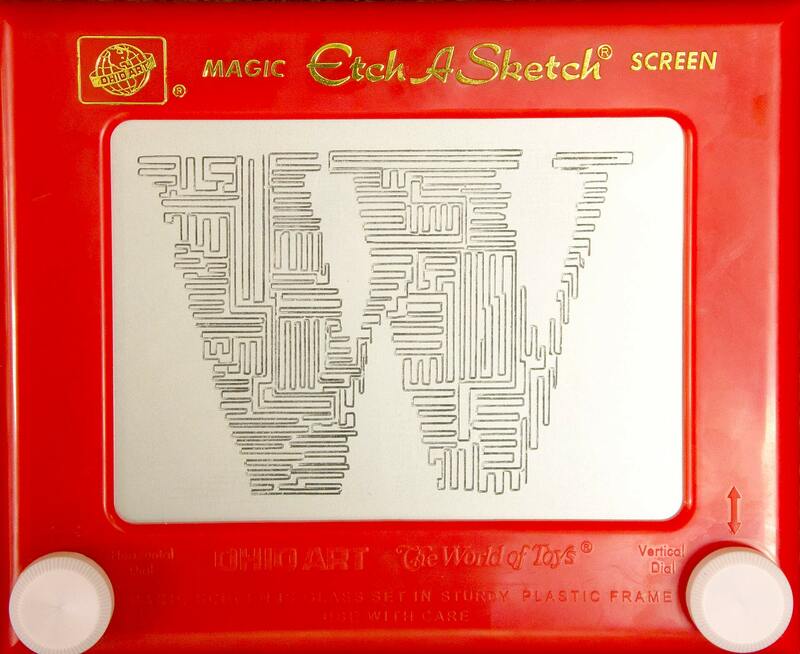 The Etch A Sketch itself is a nostalgic toy. 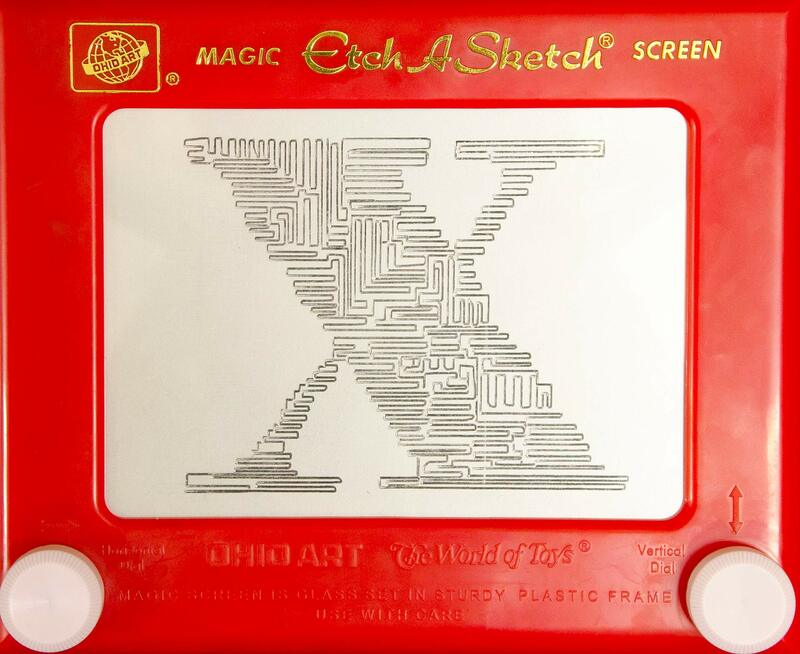 It was first distributed in 1960 at the peak of the baby boom. 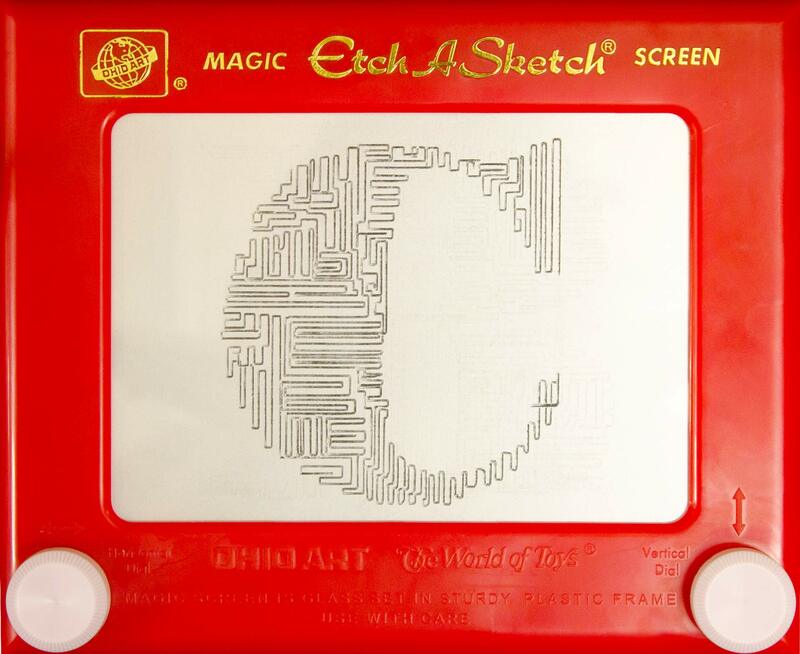 Soon it was in the hands of every child, and when they aged, it was handed to their children. 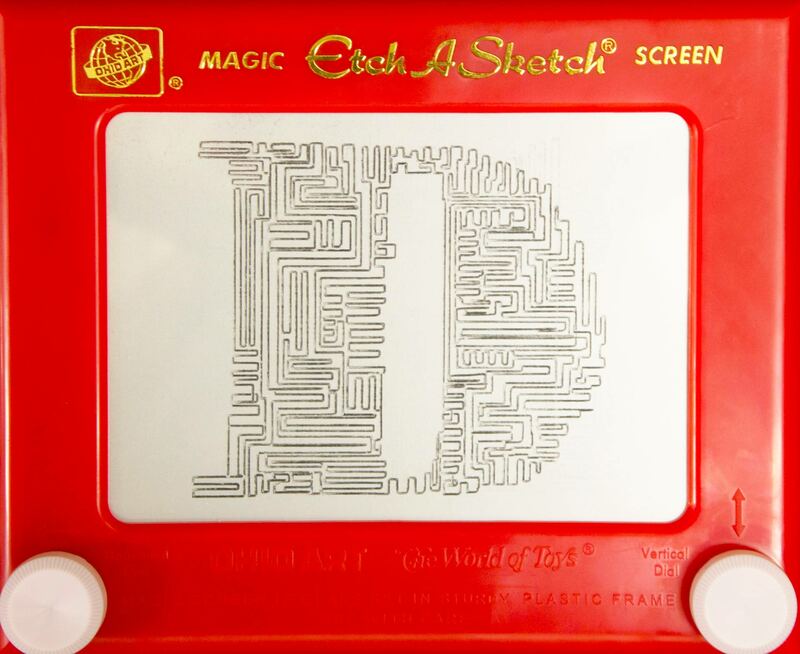 Etch a Sketch was a part of my mother and I’s childhood and is still distributed today, proving it to be a timeless classic. 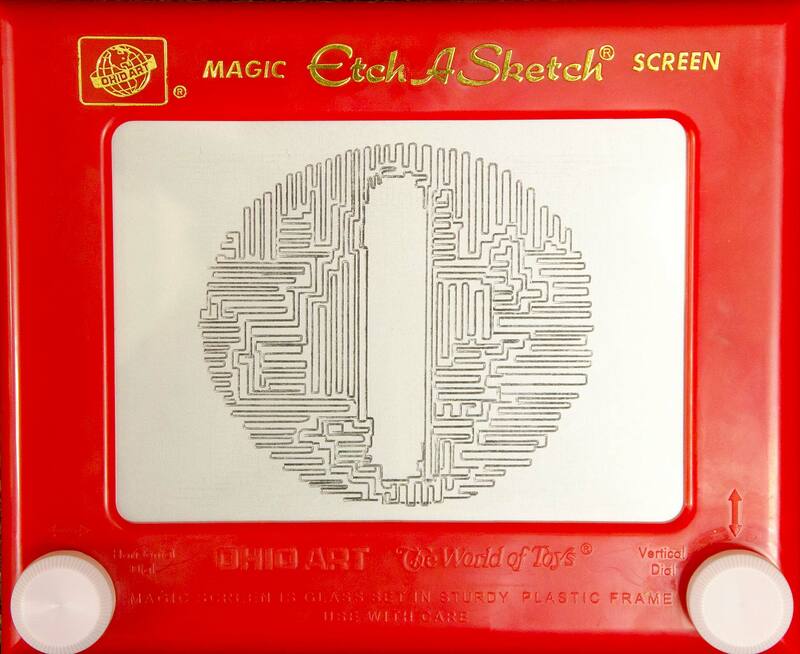 Looking or interacting with it is able to trigger memories of many people’s childhood experiences. Lines are made on an Etch A Sketch by scraping off aluminum powder off of the surface. These lines are representative of our memories that are etched into our brains by our links of neurons. Since the brain is capable of storing billions of experiences, I felt it was necessary to incorporate as many lines in my letters as possible. 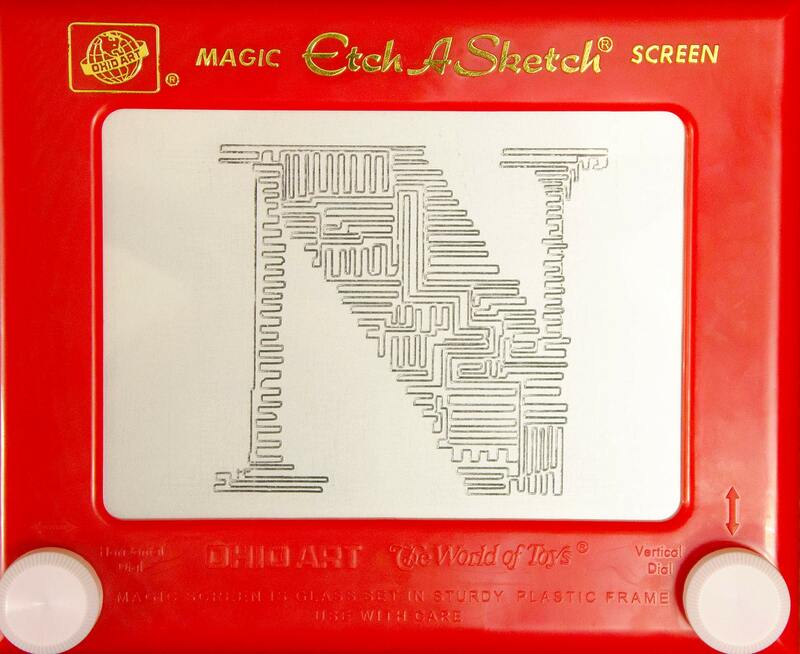 Even though I had to shake away all the lines I had created with each new letter, no lines were ever truly forgotten. I started off with a clean surface and ended with small traces of the lines that, even when shaken, could not fall back into place.